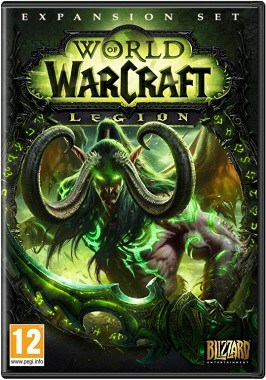 When World of Warcraft first launched in 2004, following the release of the highly acclaimed Warcraft III – The Frozen Throne, it essentially brought the MMORPG genre into the mainstream spotlight. Sure, it wasn’t the first MMORPG, but in true Blizzard fashion, they took an existing thing and then packaged and marketed it better. And just like that, the original vanilla World of Warcraft became a pop culture phenomenon and changed the course of the franchise, for better or for worse. Due to its huge success, the game had received a total of seven expansions to date, and the train is unlikely to stop any time soon. So, here’s a brief overview of each of WoW’s many expansions! The first expansion was quite influential on the game as a whole, both from a mechanics and lore standpoint. It introduced two new races – the Draenei and the Blood Elves, and it added their respective starting zones to the world of Azeroth. But the bulk of the new content lay not in Azeroth, but in Outland, a location previously visited in Warcraft III – The Frozen Throne. 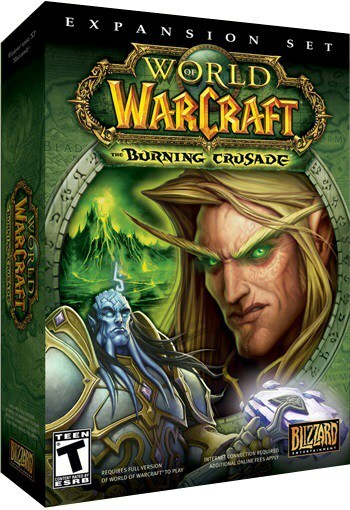 Speaking of which, The Burning Crusade is notable because it is with this expansion that Blizzard decided to involve WoW more heavily in the franchise’s canon storyline by including Illidan as an end-game raid boss, involving other existing characters from The Frozen Throne as well. When it comes to mechanics, perhaps the most notable addition were the flying mounts that could only be used in Outland, all the while regular ground mounts were made cheaper and more accessible to players. Of course, this expansion also marked the first level cap increase, as it jumped from 60 to 70, introducing new abilities and revising the talent system. In TBC, the Paladin and Shaman classes were no longer faction-exclusive to the Alliance and the Horde respectively as they were in vanilla, and the profession of jewelcrafting was introduced for the first time, allowing players to add additional stat boosts to their gear by socketing special gems. Another important addition was the resilience stat which mitigated damage received from (and only from) other players, designed to help balance out PvP combat. Speaking of PvP, this expansion also added one brand new battleground and it introduced Arena PvP for the first time. 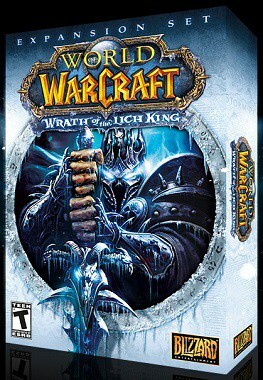 Continuing the trend of capitalizing on the success and popularity of Warcraft III, WoW’s second expansion revolved around Arthas, the widely beloved anti-hero who was crowned the new Lich King at the end of The Frozen Throne. Needless to say, it added the continent of Northrend to Azeroth which, much like Outland, was way more interesting and diverse than the simple snowy wasteland that we knew from the strategy game. This expansion added no new races, but it did introduce the very first ‘hero’ class in the form of the Death Knight. They were the first class to start at a higher level (55), had their own instanced starting zone in eastern Lordaeron, and even a simple class-specific profession – Runeforging. 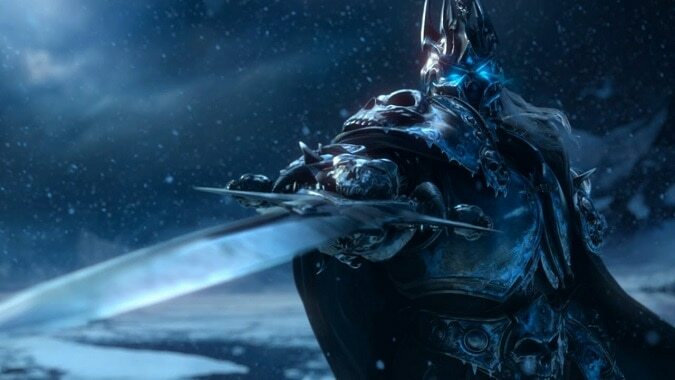 Death Knights could fill both tanking and DPS roles, though they were more popular in the latter. The level cap was increased by 10 once again, jumping from 70 to 80, and apart from the usual addition of new abilities, the refinement of the talent system, the new zones, and dungeons, Wrath of the Lich King also added a considerable amount of PvP content, introducing two new battlegrounds and two new arenas, as well as the first dedicated world PvP zone in the form of Wintergrasp. Finally, another major addition was the new primary profession of Inscription which allowed players to craft special glyphs that would enhance or otherwise alter certain abilities after a glyph is ‘inscribed’. This profession also covered the creation of scrolls used to grant temporary buffs, as well as vellums which could store enchantments for later use. And then, came the Cataclysm which changed not only the face of the in-game world of Azeroth, but the face of the game and its community as a whole. 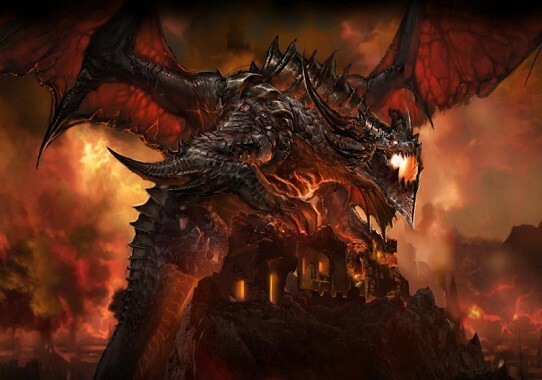 Having killed off the two most prominent characters from Warcraft III, Blizzard turned to the older games’ villains, and so Deathwing was next up for the chopping block. Now, Cataclysm introduced two new faction-specific races – Worgen and Goblins, complete with their own unique starting zones in Azeroth. But the two new races were hardly the biggest change made in this expansion, as nearly every zone in Azeroth was changed – some were only mildly altered and others were made nigh-unrecognizable. A few brand-new zones were opened up, including the PvP area of Tol Barad, as well as two new battlegrounds. Mechanics-wise, the level cap was increased once again, though only by five levels this time around, making 85 the new maximum level. All the existing classes were redesigned and rebalanced, new race-class combinations were added, and the talent system was completely revamped, granting special abilities based on a character’s primary talent tree. The only profession added in Cataclysm was the secondary profession of Archaeology which allowed players to find valuable artifacts – usually, these items are just expensive vendor trash, but players could also find mounts, pets, vanity items, and even powerful gear. In addition to that, Cataclysm also added Reforging, the ability to tweak stat bonuses on gear in order to make the item more useful to the player and Guild leveling was introduced for the first time, allowing players to attain useful extra perks as their guild leveled up. And finally, flying was made possible in Azeroth for the first time. 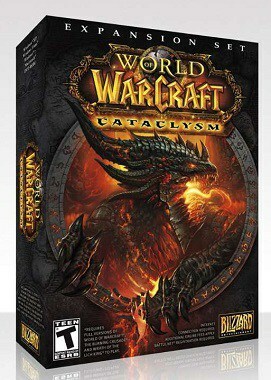 Following Cataclysm, the fourth expansion was seen as a joke among some fans, mainly because it focused on a race that was originally introduced as an April Fools joke. Exploring the new continent of Pandaria, the story focuses on the exploration of the mystical island, as well as the ever-present conflict between the Alliance and the Horde. The level cap for this expansion was increased by five once again, making 90 the new ceiling. 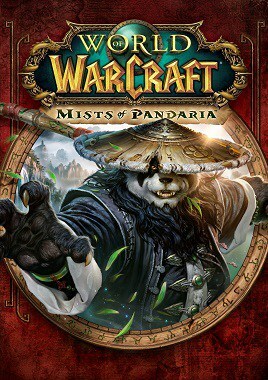 Most notably, Mists of Pandaria introduced the Pandaren as the first neutral race that could join either the Alliance or the Horde, based solely on the player’s own personal choice. This expansion also marked the addition of the first new class since WotLK, and it was the Monk – a hybrid class that could tank, heal, and DPS, all the while using light armor, with fist weapons and staves as weapons of choice. MoP also revamped the talent system once again, scrapping the old passive bonuses for specific activated abilities, the player being able to pick one of three every 15 levels. This expansion also introduced Scenarios for the first time – small dungeons that were designed to be overcome with three players, rather than the usual five. 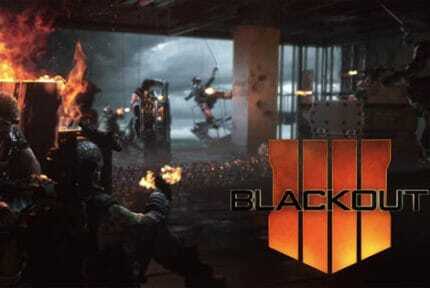 On top of that, challenge modes were added to 5-man dungeons, and on the PvP front, three new battlegrounds were introduced. Another new addition that left some players with mixed feelings was the Pet Battle System – a turn-based combat minigame revolving around companion pets, highly reminiscent of Pokemon. Many will agree that stories tend to lose impact and that writers tend to lose legitimacy once time travel is used as a plot device, especially if there’s retconning of the existing lore involved. And while Warlords of Draenor doesn’t exactly do those very things, it draws uncomfortably close. 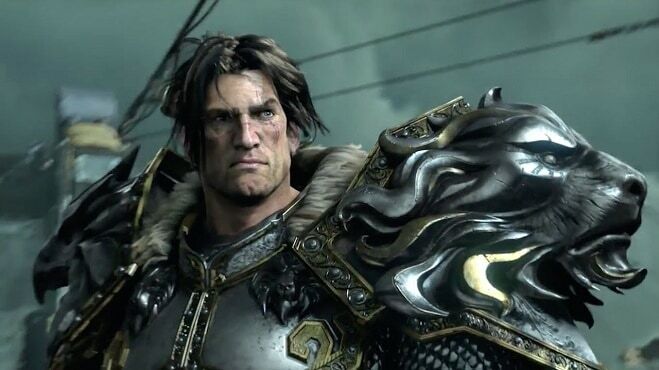 WoD takes us to an alternate timeline, back to the pivotal moment that determined the fate of the Orcish Horde back when their homeworld of Draenor was still whole. 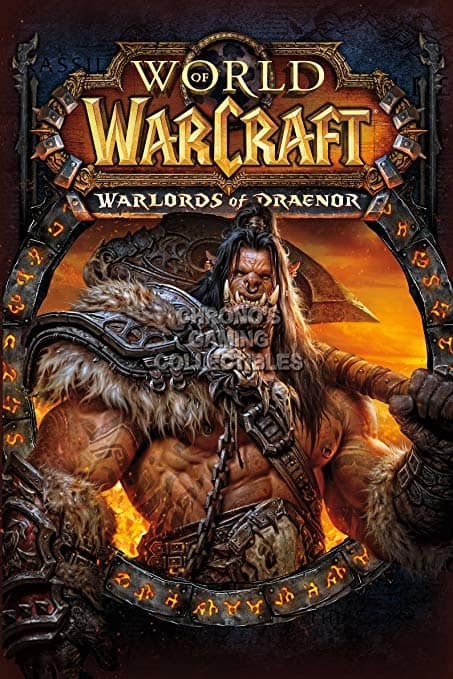 Here, the plot focuses on the alternate way that history may have played out, had the orcs not made a covenant with the Mannoroth, albeit with Garrosh Hellscream as the wild card influencing it. 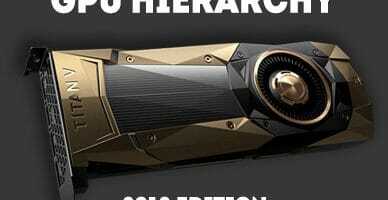 The fifth expansion raised the level cap by ten, making level 100 the new maximum. The focus was more on streamlining mechanics than introducing new ones, so WoD removed some secondary stats, and introduced the Group Finder as a streamlined group-finding tool for both PvP and PvE. Battleground gameplay was refined as well, and both the inventory and the quest log were made more manageable than before. Two big changes made to the game with WoD were Garrisons and graphics updates. While the former were unique, customizable fortresses for players to develop and partake in various activities in, the game saw a much-needed improvement on the graphics front, featuring updated character models and other minor graphics improvements that nonetheless helped WoW keep with the times. Other than that, WoD added a new instanced world PvP zone called Ashran, as well as Skirmishes – casual Arena combat scenarios that would be available even to low-level players and allow them to familiarize themselves with that sort of PvP combat early on. Remember how the original Gul’dan died in the Tomb of Sargeras? Well, following the events of Warlords of Draenor, alternate reality Gul’dan is there to reopen it in the ‘main’ reality! 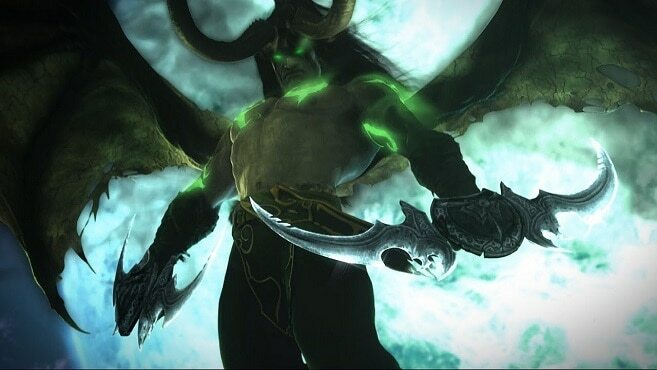 And just like that, we come back to the Burning Legion and Illidan as the focal point of the plot, and the big bad – Sargeras – is thrown into the mix as well. Legion introduces yet another new continent to Azeroth, and this time, it’s the Broken Isles that were previously visited in the Night Elf campaign in The Frozen Throne, with Dalaran now floating there instead of over Northrend to function as a hub. The level cap was raised from 100 to 110, and the second ever hero class was introduced: the Demon Hunter. This new class was a hybrid that could focus on either DPS or tanking, but unlike the Death Knight, which was made available for every race, only Night Elves and Blood Elves could become Demon Hunters. Furthermore, ‘Class Orders’ were introduced, offering class-specific campaigns and rewards. The expansion also added the heavily customizable artifact weapons that scaled with the player’s level and were used as primary weapons over the course of the evens of Legion. 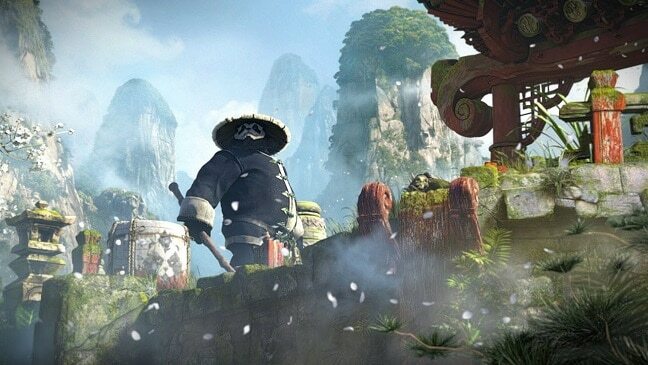 The PvP system was streamlined once again, including the removal of PvP gear and a revamped honor system that now allowed players to attain new abilities using honor points instead of acquiring gear, thus diminishing the significance of gear in PvP combat. The previous two expansions placed a heavy focus on PvP, and now not only does the latest expansion focus on PvP mechanics, too, but it also makes it something of a central point story-wise. 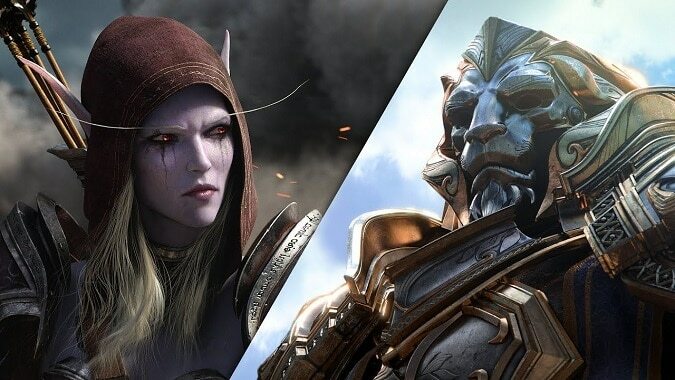 Namely, the story of Battle for Azeroth revolves not around world-destroying supervillains but instead focuses on the war between the Alliance and the Horde in a multi-chapter War Campaign storyline. This expansion introduces a total of eight new races, four for each faction, although these are more like reskins of the existing races than brand new ones. The Alliance gets Kul Tiras humans, Dark Iron dwarves, Lightforged draenei, and Void elves, while the Horde gets Mag’har orcs, Highmountain tauren, Zandalari trolls, and Nightborne elves. Naturally, this expansion contributes two new landmasses to Azeroth in the form of the islands of Kul Tiras and Zandalar. The level cap in BFA was raised from 110 to 120. It saw the addition of Warfronts to the game – massive PvE scenarios inspired by the RTS elements of the classic Warcraft games. Furthermore, two new Arenas were added, and the players were allowed to toggle PvP off regardless of realm type, and the Honor system was refreshed once again. On the PvE front, Island Expeditions were introduced, though these 3-player scenarios also had a PvP mode. And that would be it, all the World of Warcraft expansions released thus far, but we can rest assured that more are on the way. 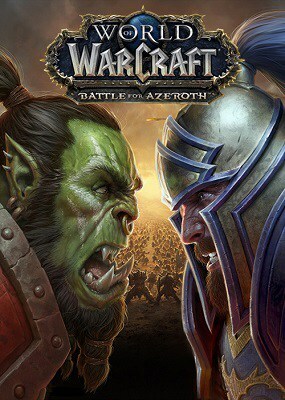 On the bright side, if you’re a veteran player from the “good ol’ days” and tired of the constant changes being made to the game, you might be pleased to know that World of Warcraft Classic will be launching in the near future, and it will bring vanilla WoW back to life once again, only without all the bugs. 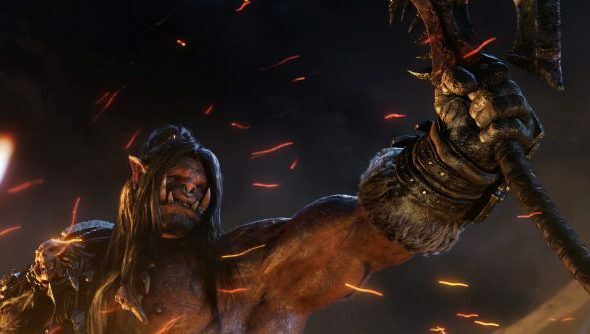 In any case, let us know if you feel we’ve skipped anything important when talking about WoW’s many expansions, and we’ll be sure to update the article if needed.